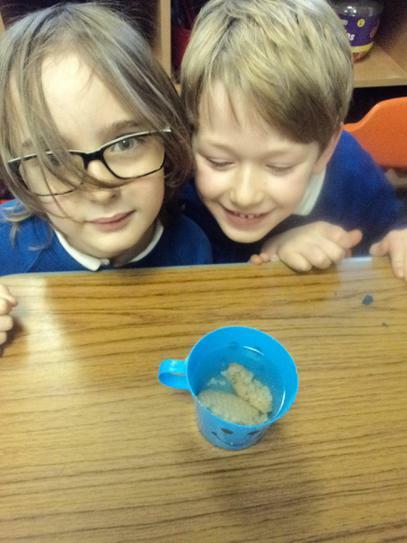 Today in STEM club we investigated dunking biscuits. The best biscuits for dunking are ones that don’t break up too easily. 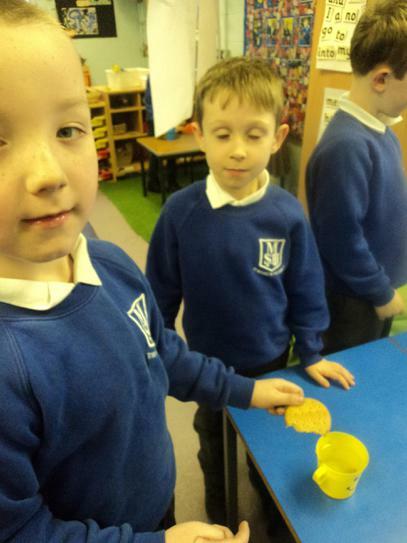 We made a prediction, we said which type of biscuit we thought would last longest. 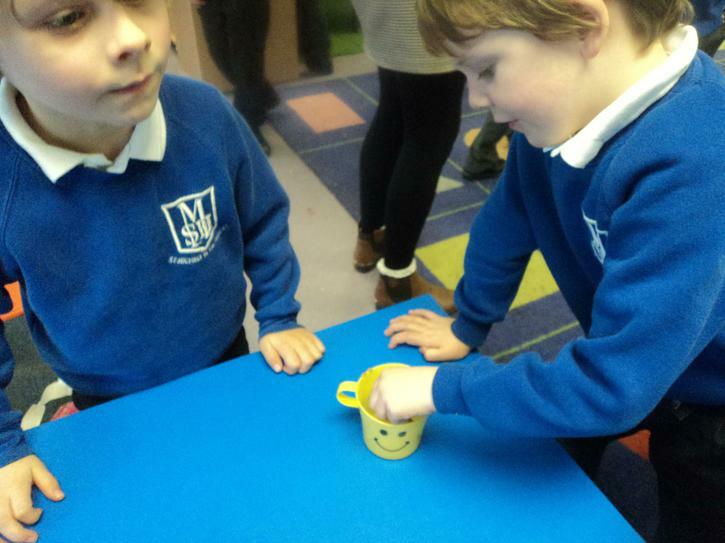 Then we tested it out, counting how many dunks it took before each type of biscuit crumpled. We worked in pairs, so one person could dunk and the other could count. We reported our findings to the other pairs of scientists, and looked for a pattern in our results, what we found. 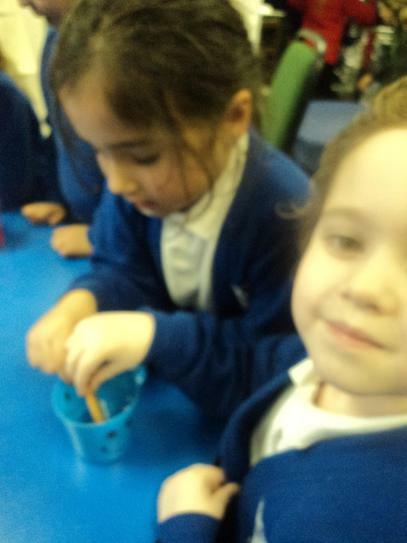 We all found that the chocolate digestives lasted longer than the plain digestives. What a good reason for eating chocolate biscuits! 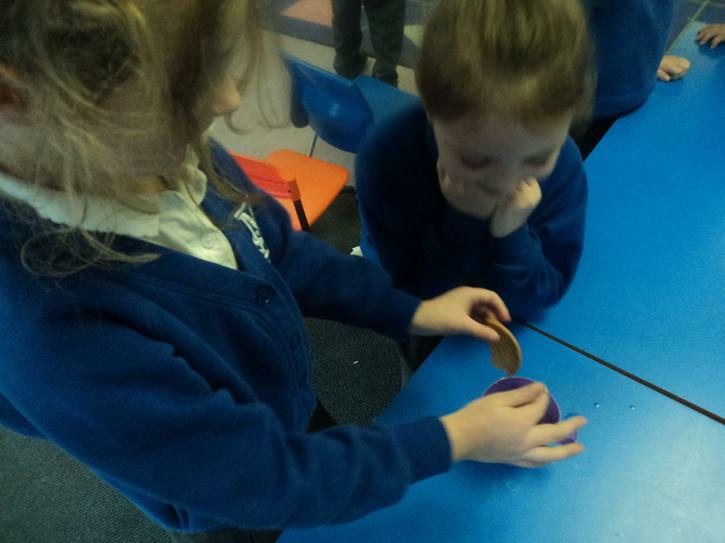 We explained why we thought the chocolate digestives lasted longer, the chocolate helped stick the biscuit crumbs together. 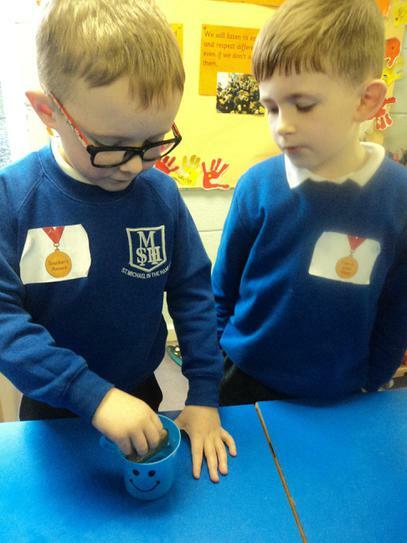 We were so enthusiastic about our investigations that we took some biscuits home too, to repeat our experiment for homework, to see if we got the same results, so we knew they were reliable. 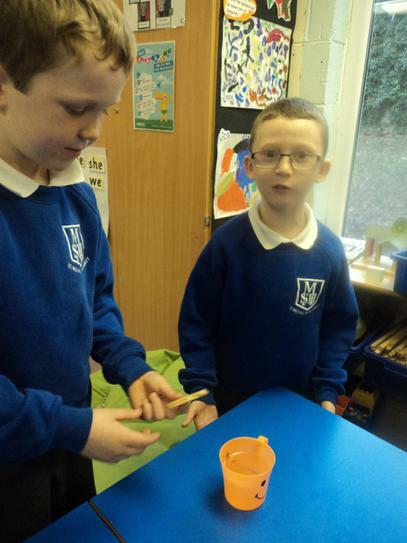 Have a look at our photos, and see how much fun we had at STEM club.